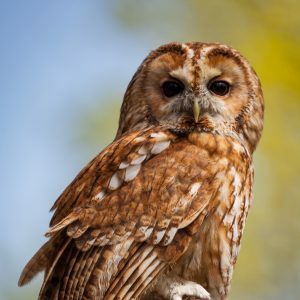 There are four species of British birds of prey that nest mainly in cavities like tree hollows or old buildings – Barn Owl, Kestrel, Tawny Owl and Little Owl. With increasing development and the intensification of agriculture, the number of nesting opportunities for cavity-nesting birds of prey has decreased over time. 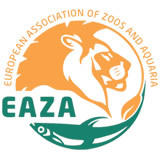 This project aims to identify suitable areas of habitat and increase the nesting opportunities and populations of the four target species of birds of prey. Kestrels are in general decline across the UK and they are ‘Amber-listed’ as a species of concern. Although in some areas the local population is stable, in other parts of the UK this species has declined significantly since the 1990s and there is no clear reason why. 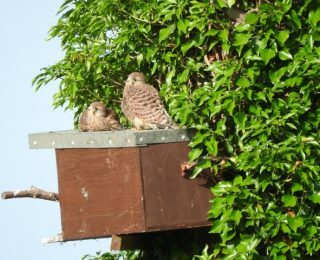 This project aims to assess if lack of nest sites is limiting the number of Kestrels and how the population responds to the installation of additional nest sites/boxes. 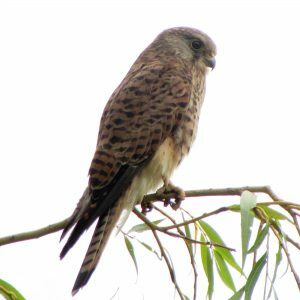 Project aim: To understand Kestrel survival, dispersal and breeding biology in our study area. 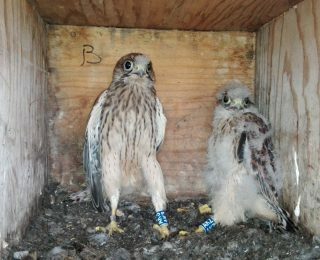 We have been fitting wild Kestrels in our study area (in southern England) with blue colour-rings since 2015. Each ring has a unique code which allows us to determine where the bird hatched and its age. We are now looking for these ringed individuals again to gather information about their survival, movements and eventually breeding behaviour. 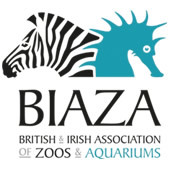 Project Aims: To determine how many Red Kites there are today and find out more about their movements and behaviour since the reintroductions in the 1990s. We are proud to have played an important role in the extremely successful Red Kite Reintroduction Programme. 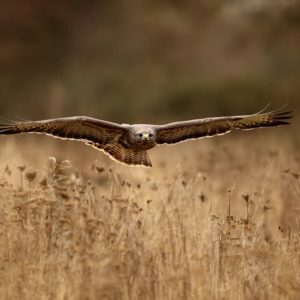 The really good news is that, as a result of the reintroduction programme, the status of the Red Kite in the UK has been improving since the early 1990s and the population continues to increase. We monitor Red Kites in our study area to find out how many there are, where they nest, and how they live. This project is interesting because it has a particular focus on how Red Kites feed. Project aim: To determine how variation in design and installation affect nest box internal characteristics of microclimate and parasite load. Assess impact on breeding success and productivity. 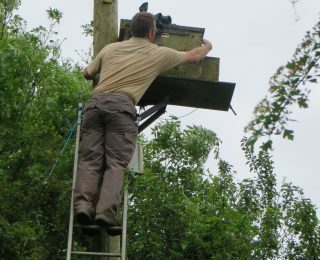 Nest boxes intended for use by a wide variety of bird species are an increasingly significant part of the UK landscape. Installed to compensate for natural nest site loss or as a means of assisting and encouraging range expansion and population growth, nest boxes can have a significant impact on the population dynamics of some species. 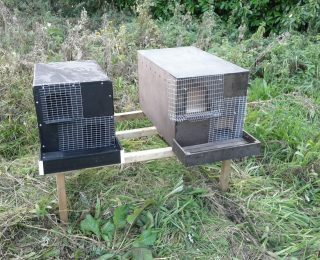 As part of the RNBP (see above) and to help in assessing the value of these boxes for nesting and over-winter roosting, this project explores how the use of differing construction materials, variation in box design and location of installation affect the microclimate and parasite loads of birds within boxes. The impact of each of these factors on breeding success and productivity is also determined. 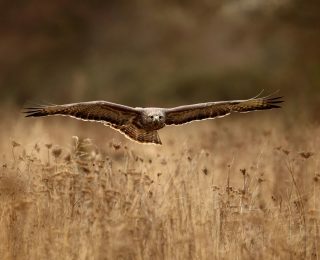 Where do Red Kites and Buzzards live, and why? 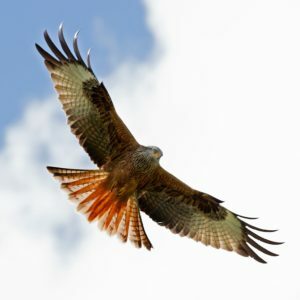 Project aim: To understand how the distribution, breeding success and productivity of Red Kites and Buzzards relate to each other and different land use types. 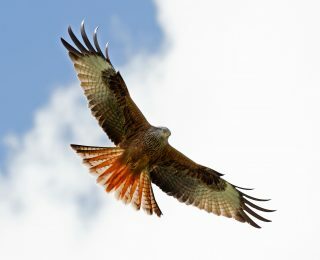 Red Kite and Buzzard populations in the UK have increased over the last 20 years. To assess how their populations have changed and to gain insight into their abundance and distribution in south-central England, this project undertakes a programme of regular surveys. These surveys provide valuable information about the regional population sizes of these species as well as enabling an assessment of variation in breeding performance across different land use types. The data obtained from the work also provide opportunities to compare the relative nesting distributions across our study area and to assess the levels of competition and interaction between the two species. 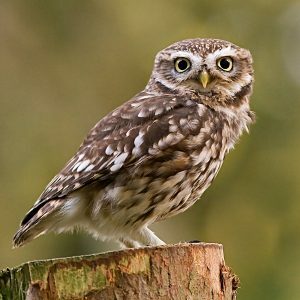 Small mammals form a significant component of the diet of many UK raptor species. 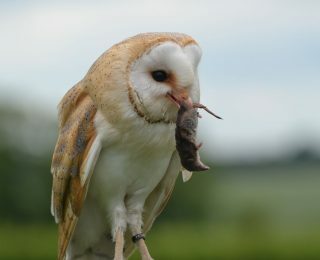 For example, the productivity of Barn Owls is closely linked to the four-year cycle in abundance of Field Voles. 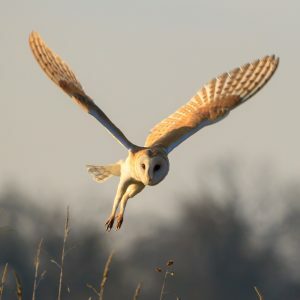 This project uses a programme of live-capture-and-release of small mammals to assess how variation in their regional, seasonal and annual abundance influences the biology of UK raptor species. Fluctuating prey availability may have many impacts and this project explores how this variation influences annual breeding success and productivity. How the reduced availability of preferred prey species affects hunting strategy and diet is also investigated. To support this work we also collect pellets and prey remains from nest boxes to assess annual variations in chick diet. Support our vital conservation and research work with UK birds of prey by becoming a supporter. From just £3 a month you can make a real difference.